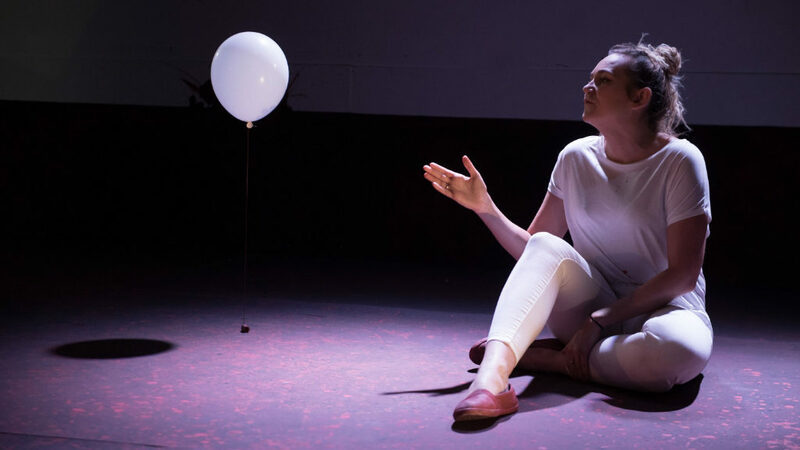 Originally debuting at the Edinburgh Fringe in 2017 and currently part of a double bill presentation with Kat Wood’s Killymuck at The Bunker Theatre, Monsay Whitney’s Box Clever is a moving and ferociously honest play set in a woman’s refuge and told through the eyes of Marnie, a devoted single parent desperate to escape her toxic relationship patterns and create a better life for herself and her daughter. We caught up with the playwright to talk inspiration, “crippling stage fright” and being “a born fibber”. Hello Monsay, what was the inspiration for your darkly comic one-woman play, Box Clever? Well I knew it needed to have some laughs up front because the subjects at the crux of it aren’t particularly palatable. I can’t say exactly what inspired it to begin with. It was visceral for sure. But family court cases such as that of Hayley Gascoigne and Samantha Baldwin and groups such as Legal Action For Women spurred me on to finish it. Do you recall the first story you created? What a great question! I do vaguely remember having to write stories at primary school but nothing in particular springs to mind. I think I was a bit disheartened by my messy handwriting. But I did love to tell fibs when I was really small. I must have been a born fibber because they just seemed to fly off the tongue in infant school. Not malicious lies or anything troubling, but I was proper inventive with them – I don’t even know if I knew I was fibbing or whether my imagination was just wild and I believed it all. I was a daydreamer too and some of them had plots and action and all sorts. I used to fly a lot. Like flap my arms and fly out of the classroom. In my mind, obviously. You have portrayed Marnie yourself during the run in Edinburgh; here we see Redd Lily Roche in the role. How did you meet Redd and how has it felt seeing someone else portraying your creation? I haven’t been present at any of the rehearsals or seen the performance yet – but I’ve heard only good things about Redd and I have every faith that she will be great. The process of creating any theatre show is tough and it has always been too stressful and full of anxiety for me to “enjoy”. I used to get insomnia in the lead up to openings. Crippling stage fright and sickness. I mean it really doesn’t suit my character at all. You sort of have to question why you would continue to put yourself through that. Art is worthwhile but it’s not worth making yourself ill over. So, the short answer to that question is I’m absolutely made up that Redd is in the driving seat! Is this your first time collaborating with The Bunker Theatre? Whose idea was the double bill concept with Killymuck by Kat Woods? And why do you think this collaboration is working? Yeah, the first time. I believe it was all Chris Sonnex’s idea to do the double bill. I think the proposition was he wanted two one-woman shows which were concerned with marginalised voices. I think the collaboration works because they both offer societal critique on class and inequality from a place of authenticity. They’re honest. They’ve got heart. How did it feel when your previous play Hand to Mouth was chosen by Simon Stephens as part of Theatre 503’s Playwright Presents scheme? What piece of theatre, movie or tv show resonated so deeply that it stayed with you long after the credits rolled and why was that? Duncan Macmillan’s Every Brilliant Thing. I cried when I read it and I cried when I saw it. It speaks straight from the heart and it just seems to connect on a human level. As a writer and performer, who are your main artistic influences? Everything I learned in my early days of writing plays I learned directly from playwrights such as Simon Stephens, Edward Bond, Bola Agbaje, Arinze Kene, Leo Butler, Ella Hickson. I was a blank canvas and I knew sod all. Charlotte Josephine has given me nuggets of gold, too. Do you prefer a quiet or busy environment to write in? This has chopped and changed. I think both can have their benefits. And sometimes a change can freshen things up. When I wrote the first play, Hand To Mouth, I wrote it in solitude through the night. It took six weeks. It was great when I had insomnia, because I remember feeling like I had something productive to do in those hours. But there were other nights where I was bodily exhausted, but my brain was awake with creativity and I more or less crawled out of bed wanting to get these ideas down on paper and I sort of sat there thinking “I’ll go to bed after this part” and it just went on for hours. Final question: Is your daughter following in your writing/performing shoes? She doesn’t want to write, no – she’s quite adamant about that. She wants to be an artist. She likes to paint and draw and make stuff out of cardboard and plastic and what not. It doesn’t come from me; I’m crap at all that. She likes to fill our home up with junk that she has collected for future art and gets upset if I attempt to recycle any of it. Thank you so much for sharing with us Monsay. Box Clever and Killymuck are at the Bunker from 26th March until 13th April 2019. For further information or to book visit the theatre’s website here.